USCBP « What Happened to the Portcullis? C-TPAT falters – how ‘SAFE’ are the world’s AEO programmes? The following article appeared on Maritime Executive’s webpage titled ‘Can C-TPAT be fixed?‘ authored by Stephen L. Caldwell (2017-07-18). The assessment reveals that Customs-Trade partnerships require continuous review and enhancement to retain their appeal and relevance – a significant challenge for customs and border authorities primarily focussed on compliance with the law. I have appended hyperlinks to the critic’s articles at the bottom of this post. As the Customs-Trade Partnership Against Terrorism celebrates its fifteenth anniversary, it faces stagnant membership, software train wrecks, questionable assertions of benefits and a much- needed retooling to stay current. The Customs-Trade Partnership Against Terrorism (C-TPAT) is a voluntary security program started in the aftermath of 9/11. Member companies sign up and agree to maintain strong supply chain security. U.S. Customs and Border Protection (CBP) staff then validate members’ security practices to ensure they meet minimum criteria. Members are then eligible for benefits such as reduced likelihood that CBP will examine their shipments. C-TPAT currently has about 11,500 members including importers, consolidators, sea carriers, port terminals and foreign manufacturers. Membership is segregated into three “Tiers” with Tier I representing companies that sign up, Tier II representing validated members, and Tier III representing companies with the highest demonstrated level of security. The program grew rapidly in the beginning, reaching 1,500 members by 2002, 3,000 by 2003, 7,000 by 2004 and 10,000 by 2012. Given this growth, Congress wanted to make sure it was more than just a “sign- up sheet” and asked its watchdog, the Government Accountability Office (GAO), to monitor the program. GAO’s July 2003 report found that, after companies signed up but before any validation process was completed, CBP went ahead and provided benefits by reducing their scores in its risk algorithm. By May 2003, for example, there were 3,355 members receiving benefits but only 15 had been validated. It took a couple of years to work down the backlog. Even then, GAO’s March 2005 report found the validation process was not rigorous enough to ensure that a company’s security practices were reliable, accurate and effective. Its 2008 report found that CBP still faced challenges in verifying that C-TPAT members met minimum security criteria. It also found that CPB’s records management system did not allow managers to determine whether C-TPAT members complied with program requirements. Michael Laden, head of customs compliance firm Trade Innovations in Eden Prairie, Minnesota, has been helping industry clients with C-TPAT since 2005. Laden has been a licensed customs broker since 1981 and served as Director of Global Trade Services at Target Corporation prior to founding his own firm. He believes that C-TPAT is having a midlife crisis: “The stagnation of membership levels in the 10,000-12,000 range is an indication that industry has lost its appetite for C-TPAT.” He cites a problematic history of revolving short-term leadership as part of the problem. The problems with Portal 2.0 were documented in GAO’s most recent report of February 2017, which found that Portal 2.0 incorrectly altered C-TPAT members’ certifications or security profiles, impairing the ability of C-TPAT specialists to identify and complete required security validations. Portal 2.0 problems also prevented C-TPAT members from accessing their own data and responding to validation reports. Since C-TPAT was presented as a partnership with CBP benefiting from its knowledge of member companies’ security practices and companies benefiting from reduced scrutiny of their shipments, CBP in 2012 developed a software “Dashboard” to track such benefits. It used the Dashboard in its Program Benefits Reference Guide to assert that entries filed by C-TPAT members were less likely to undergo a security examination than those filed by non-members. Tier III members, for example, were nine times less likely to be examined, and Tier II members 3.5 times less likely. However, the February 2017 GAO analysis found that C-TPAT members’ shipments did not consistently experience lower examinations, hold rates or processing times compared to non-member shipments. When GAO shared its preliminary analysis with C-TPAT officials, they acknowledged that they had never completed system verification, acceptance-testing, or checks on the data in the Dashboard. GAO’s conclusion was that the data was unreliable going back to the Dashboard’s introduction in 2012, and CBP to this day remains unable to determine the benefits of C-TPAT membership. While industry was anxious for definitive information on membership benefits, it decided to find its own solutions to some of the costs. One key cost involves security audits of the supply chain, particularly in foreign countries. Shippers and importers got together and created the Supplier Compliance Audit Network (SCAN) to address costs, “audit fatigue,” inconsistent reporting and varying compliance requirements. Companies pay a sliding fee to become part of SCAN, where they can commission audits and get access to completed audits, which could obviate the need for a new audit of a particular supplier. In 2016, SCAN completed more than 3,379 audits in 51 countries. Its board of directors represents some of the largest importers in the U.S., and its audits are conducted by proven service providers such as Bureau Veritas and business standards company BSI. Despite problems, there are signs of improvement according to Trade Innovations’ Laden, starting with the decision by the last CBP Commissioner to make the Director of C-TPAT a more permanent position. “This should add continuity to the leadership of the program,” he explains, “allowing it to reach its true potential.” Laden also praises the new Director, Elizabeth Schmelzinger, for her openness to listen to industry. She also described the evolving roles of C-TPAT and CBP’s newer Trusted Trader program, noting that “C-TPAT was foundational to any Trusted Trader status.” In other words, the first element of a Trusted Trader program was to ensure security. Then the elements of compliance with rules and regulations would be taken into consideration. Ultimately, C-TPAT and Trusted Trader would transition into a global safety net whereby low-risk importers and exporters would have their goods expedited through customs processes in both the U.S. and its trading partners. In international parlance, security partnership arrangements like C-TPAT are called Authorized Economic Operator (AEO) programs. The U.N. reported that, as of 2016, some 79 countries had established AEO programs and an additional 16 planned to launch such programs in the near future. The E.U., consisting of 28 countries, has the largest program, and its Union Customs Code of 2013 aims to, among other things, reinforce swifter customs procedures for compliant AEOs. Many countries with AEO programs, including the U.S. with its C-TPAT, have signed “mutual recognition agreements” whereby two countries’ customs administrations agree to recognize the AEO authorization issued under the other’s program and provide reciprocal benefits to companies. As of May 2016, some 40 bilateral agreements had been concluded with 30 more being negotiated. According to the U.N., these bilateral agreements will form the basis for multilateral agreements. To date, the U.S. has signed 11 agreements with, among others, the E.U., Canada, Mexico, Japan and Korea. Michael Laden is more skeptical of mutual recognition, calling it a “noble gesture” but adding there will be little enthusiasm from industry. 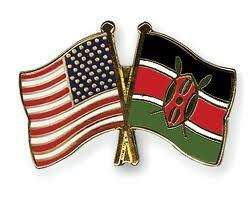 Most of his clients are importers and will not get any benefit from the new export component. The US government is proposing making social media accounts part of the visa screening process for entry into the country. US Customs and Border Protection’s proposed change would add a line on both the online and paper forms of the visa application form that visitors to the US must fill out if they do not have a visa and are planning on staying for up to 90 days. The proposal is currently under consultation, with US government taking comments until 22 August. The change forms part of the plan by the US DHS to scrutinise social media activity of visa applicants and those wishing to enter the country, following the San Bernardino killings in California, in which social media profiles formed part of the investigations along with an iPhone 5C. Current DHS pilot programmes are being kept under wraps but are said to scan a limited amount of social media posts. The pilot programmes currently used by DHS do not sweep up all social media posts, though government officials have kept details of the programmes closely held, as they do not want to reveal the precise process they use to try and identify potential threats. It’s unclear if or how the DHS would verify information written on a form before hitting border control, leaving the possibility of false information being put down, and while the information may be optional, it will likely be difficult to discern what is and isn’t required on the form. Thousands of counterfeit designer handbags have been uncovered by federal officers in a shipping container at Miami’s seaport. Customs and Border Protection officials say a recent review confirmed there were 1,200 fake Gucci handbags and 1,195 Louis Vuitton handbags in the container. The bags were initially seized Aug. 19 in a shipment from China. Authorities say the handbags are worth more than $1 million if sold as legitimate. Investigators began examining cartons containing the handbags after noting that they were not declared on any import documents. The shipment included 825 other cartons of clothes, shoes and similar apparel. 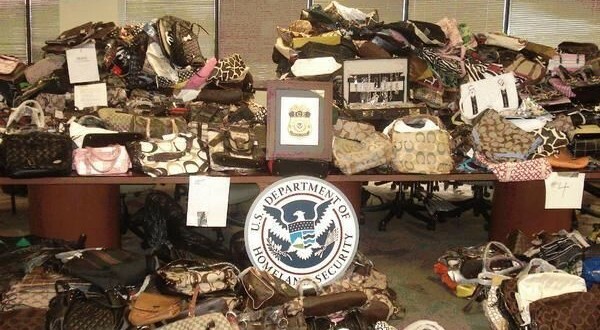 Last year CBP seized more than 23,000 counterfeit items nationally worth about $1.2 billion. U.S. Customs and Border Protection Commissioner R. Gil Kerlikowske formally rolled out the “Know the Facts” campaign today. The campaign, launched on July 20 in Mexico, El Salvador, Guatemala, and Honduras, encourages those considering attempts to illegally enter the U.S., to “Know the Facts” and avoid embarking on the dangerous trek north only to be returned to their country. U.S. Customs and Border Protection (CBP) published a Federal Register Notice inviting U.S. exporters to request CBP’s assistance in resolving disputes with foreign customs agencies over the tariff classification or customs valuation of U.S. exports. CBP explains that it is willing to assist U.S. exporters with these disputes under the auspices of the World Customs Organization (WCO). CBP is very active at the WCO and regularly participates in meetings concerning the application of the Harmonized Commodity Description and Coding System (HS System) and the World Trade Organization’s (WTO) Customs Valuation Agreement (CVA). According to CBP, this process was helpful in providing a successful outcome for clients who disputed a foreign customs agency’s classification of imported goods. CBP represents the United States at meetings under the auspices of the International Convention on the Harmonized Commodity Description and Coding System (“HS Convention”). The HS Convention is the international agreement that provides that WCO Members will implement the HS System and comply with decisions of the various committees organized under the convention. CBP attends semiannual meetings of the WCO’s Harmonized System Committee (HSC), where contracting parties to the HS Convention examine policy matters, make decisions on classification questions, settle disputes, and prepare amendments to the HS System and its Explanatory Notes. Article 10 of the HS Convention governs disputes between contracting parties concerning the interpretation or application of the HS Convention. The article provides that parties with potential disputes should first try to settle the dispute through bilateral negotiations. If such negotiation cannot resolve the dispute, the parties may refer the dispute to the HSC for its consideration and recommendations. The HSC, in turn, refers irreconcilable disputes to the WCO Council for its recommendations. CBP represents the United States at the WCO with respect to issues arising under the CVA. Pursuant to Annex II to the CVA, the WCO’s Technical Committee on Customs Valuation (TCCV) is authorized to examine specific problems arising from the customs valuation systems of WTO Members. The TCCV is responsible for examining the administration of the CVA, providing WTO Members with advisory opinions regarding particular customs valuation issues, and issuing commentaries or explanatory notes regarding the CVA. Like the HSC, the TCCV may get involved in disputes amongst foreign customs agencies. CBP stands willing to help U.S. exporters with these disputes. This process may provide U.S. exporters with a faster procedure to resolve disputes than a typical WTO dispute. CBP states in the notice that its communication with other customs administrations through the meetings of the HSC and TCCV at the WCO can “often serve to eliminate or resolve export issues for U.S. traders.” As an example, in 2014, a U.S. exporter notified CBP of a foreign customs administration’s misclassification of its textile exports. The U.S. exporter requested that pursuant to Article 10 of the HS Convention, CBP (1) contact the foreign customs administration to resolve the tariff classification dispute; and (2) refer the matter to the HSC at the WCO, if it could not be resolved bilaterally. After confirming it agreed with the U.S. exporter’s position, CBP engaged the foreign customs administration directly. Within seven months of the exporter’s request, CBP secured a favorable decision by the foreign customs administration to classify the merchandise in a manner consistent with the U.S. position. Consequently, the U.S. exporter obtained correct tariff treatment of its imported merchandise in the foreign country as a result of CBP’s engagement. Port Technology discusses the latest advances in container security. Securing the supply chain and scanning cargo containers is a complex issue with significant policy impact. One of the most prominent items of regulation in this respect is the US SAFE Port Act of 2006, which introduced the requirement to scan 100 percent of cargo containers entering the US. But, even in the year 2012, six years after its introduction, the original intention of ‘Security and Accountability for Every Port’ was still not compatible with technical and organisational realities. Consequently, in 2012 the US Department of Homeland Security deferred the requirement of 100 percent scanning until July 2014, using a foreseen exception option in the SAFE Port Act. Therefore, the challenge of improving container security remains high on the agenda. The European Commission’s Joint Research Centre (JRC) has worked on the issue of container security for more than 10 years now, starting with mechanical and electronic seals. But recently a paradigm shift has been introduced to the research activities: instead of trying to protect the traditional container itself, new container concepts and new monitoring approaches were looked at, and first research results are promising. 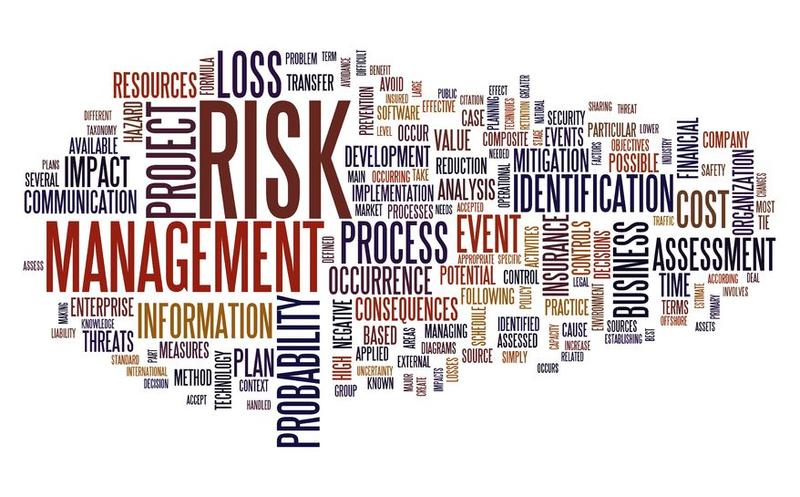 The requested range of risk management tools was pursued in four major research strands, which in the future might support a comprehensive, multitechnology, and agreed-upon approach to container security: (i) new container materials; (ii) smart electronic sensors; (iii) wireless multi-hop communications, and (iv) mathematical outlier detection and security analysis. While the first three of these research areas are connected to the physical container itself, the outlier detection is a mechanism applied to ‘metadata’ (itinerary, transhipments, etc.) that does not have to come close to a container to perform a security analysis. Read the full article – Future cargo containers: how smart can they get? here!. In contrast to the physical container technologies (described in the article), this outlier detection approach does not target the containers themselves but addresses the metadata information available about the container (e.g.itinerary or transhipment data). JRC has built a container traffic analysis system (CONTRAFFIC) which mathematically analyses the itinerary data of cargo containers, identifies unusual stopovers or loops and enables the research analysts to detect suspicious containers from a distance. The mathematical algorithms of CONTRAFFIC are continuously being improved, connecting more and more data with each other and analysing more than five million containers per month and matching the data mathematically against 800,000 import declarations. The system is currently queried over 20,000 times by different EU customs per year. U.S. Customs and Border Protection (CBP) today announced the launch of the first authorized app to expedite a traveler’s entry process into the United States. Mobile Passport Control (MPC) will allow eligible travelers to submit their passport information and customs declaration form via a smartphone or tablet prior to CBP inspection. This first-of-its-kind app was developed by Airside Mobile and Airports Council International-North America (ACI-NA) in partnership with CBP as part of a pilot program at the Hartsfield-Jackson Atlanta International Airport. IPhone and iPad users can download the app for free from Apple’s App Store. Eligible travelers arriving at Hartsfield-Jackson Atlanta International Airport will be able to use the app beginning Aug. 13. MPC is expected to expand to more airports later this year and to Android smartphone users in the future. MPC currently offers U.S. citizens and Canadian visitors a more efficient and secure in-person inspection between the CBP officer and the traveler upon arrival in the United States. Much like Automated Passport Control, the app does not require pre-approval, is free-to-use and does not collect any new information on travelers. As a result, travelers will experience shorter wait times, less congestion and faster processing. ACI-NA contracted with Airside Mobile in MPC’s technical development. Information about Mobile Passport, including how to download, user eligibility and other frequently asked questions, is available on the Travel section of the CBP.gov website and the Airside Mobile website. 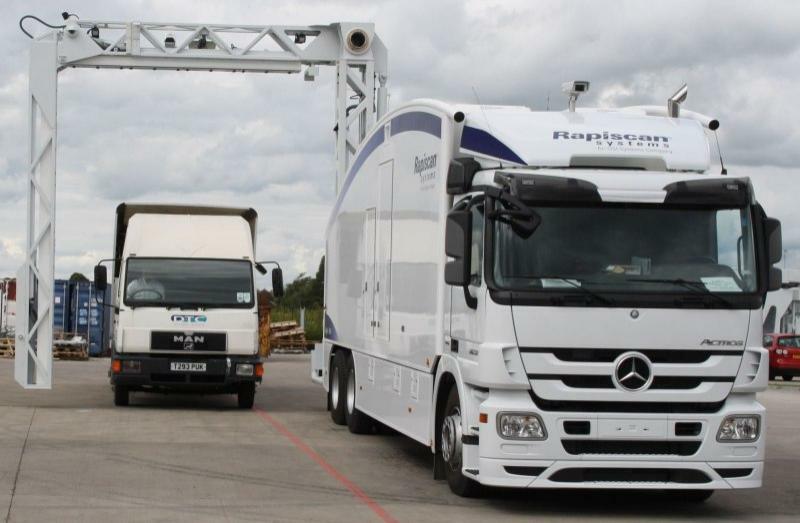 UK freight forwarders have welcomed but are not surprised by the latest US postponement by two years of the implementation of new rules requiring all cargo containers entering the US to be security scanned prior to departure from overseas ports, with national association BIFA reiterating calls for the initiative to be abandoned. Peter Quantrill, Director General of the British International Freight Association (BIFA), said it was “hardly surprising” to hear the recent news that the US had delayed the introduction of the new rules “amid questions over whether this is the best way to protect US ports”, calling the move “a healthy dose of common sense”. The deadline for implementation of 100% scanning of all inbound containers has already been delayed from 2012 to 1 July, 2014, and US Secretary for Homeland Security Jeh Johnson, who took over the role just six months ago, has now reportedly decided on another 24-month postponement. BIFA’s comments follow the recent news of a letter from Thomas Carper, chairman of the US Senate Committee on Homeland Security and Governmental Affairs, which suggested that the use of systems available to scan containers would have a negative impact on trade capacity and the flow of cargo. Quantrill adds: “Media reports suggest that the US Government now doubts whether it would be able to implement the mandate of 100% scanning, even in the long term, and it would appear that it now shares BIFA’s long-standing opinion that it is not the best use of taxpayer resources to meet the USA’s port security and homeland security needs. He continued: “Whilst the latest news of a two-year delay appears to be a healthy dose of common sense at the US Department of Homeland Security, BIFA still believes that the US Government ought to take an even bolder step and repeal the original legislation.